Deceptive marketing means to advertise or promote something that misrepresents the true purpose or value of that product. Discover Financial has found its way in the news because they are being accused of deceptive marketing practices by asking their consumers to sign up for credit card services. One of these services is a payment protection service; in the case of job loss the consumer would get assistance in handling payments. The problems don’t stop there. The attorney general of Minnesota, West Virginia and Missouri are suing on behalf of their state consumers regarding this and several other programs provided by Discover. Discover Financial believes that they have made the necessary changes to meet the concerns of the FDIC and wants to maintain a long-term relationship with their customers; they would like to put this incident behind them. I’m sure this won’t be the last time we see Discover in the news, consumers know your rights and protect your finances, read the fine print, it’s important! Jennifer Hudson became a household name after her time on the television show “American Idol,” and then blazed the screen in her role in the movie “Dreamgirls,” which she won her first Oscar. Now Jennifer Hudson is making herself known for health and fitness. This past year she has conquered her own weight challenges and loss nearly 80 pounds. She did this by using the Weight Watcher’s Plan; she is now a spokesperson for the company. 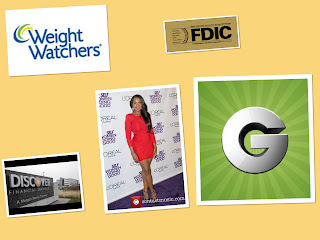 This week launched the opening of “The Weight Watchers Jennifer Hudson Center.” The center is decorated with pictures of her and is located on the South Side of Chicago. 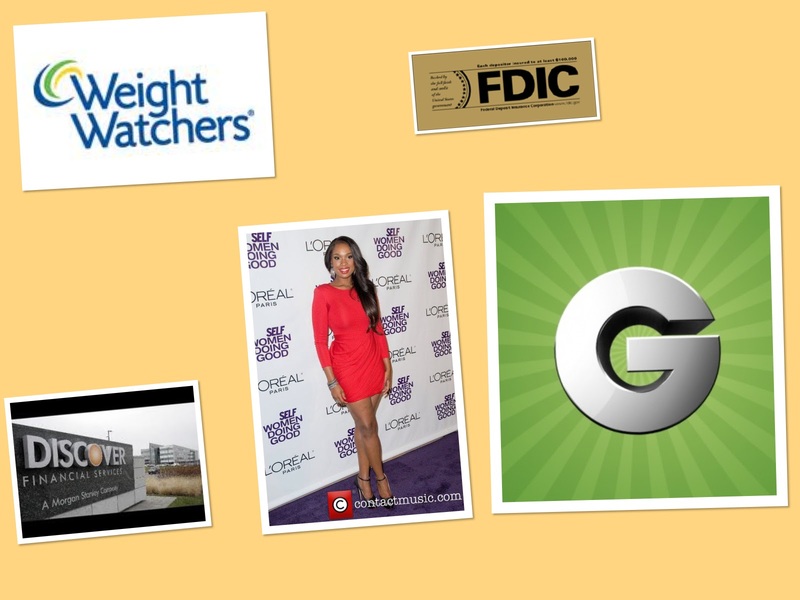 Weight Watchers has pledged to donate a portion of the profits from the center to the foundation Jennifer Hudson co-founded in memory of her nephew. Hudson said she targets children because they make a difference, and now she hopes to make a difference in their health. Congratulations to Hudson on her weight loss and her desire to come back and help her community. There are several articles out there speculating that Groupon has a new rewards program on the rise. With this program, after you spend the individual merchant’s maximum, you get an even deeper discount when spending with the merchant in the future. When you use your credit/debit card at participating merchants, it is linked to your Groupon account. Once you reach that store’s desired amount, Groupon gives you the opportunity to purchase a Groupon for that store with an even greater discount. My initial thoughts were that this Groupon Rewards program was great. It sounded like a win-win-win situation. It’s a win for Groupon because once the Groupon is bought it’s money in the bank for them. It’s always a win for the consumer when they can save money. Likewise, whenever money is spent, it’s a win for the merchant. The motive behind this deal is to ensure merchants that consumers will continue to come back and that this business deal will benefit all parties involved. If this works, it’s great for the merchants because the consumers have to spend the money up-front to qualify for the much-discounted deal from Groupon. The problem we have with Groupon Rewards, as a consumer, is the shared information. Not only do you have to link your billing information to Groupon, but also to the merchant and then they come together and share that information. It raises the question for me about the safety of financial information being shared. With so many cases of identity fraud and financial misuse, I hope that they have a safe way of sharing this information without violating the privacy of the consumer. Aside from these concerns the program looks like it has great potential. We will be watching to follow its development.